Courtesy of Century 21 Olympian Fine Homes. Location, Location ! Centrally located, minutes to U of H, downtown, Interstate 45, 610, 288 and Metro Rail. Ideally situated close to everything downtown/University area offers yet sitting towards the back of a quiet dead end street. 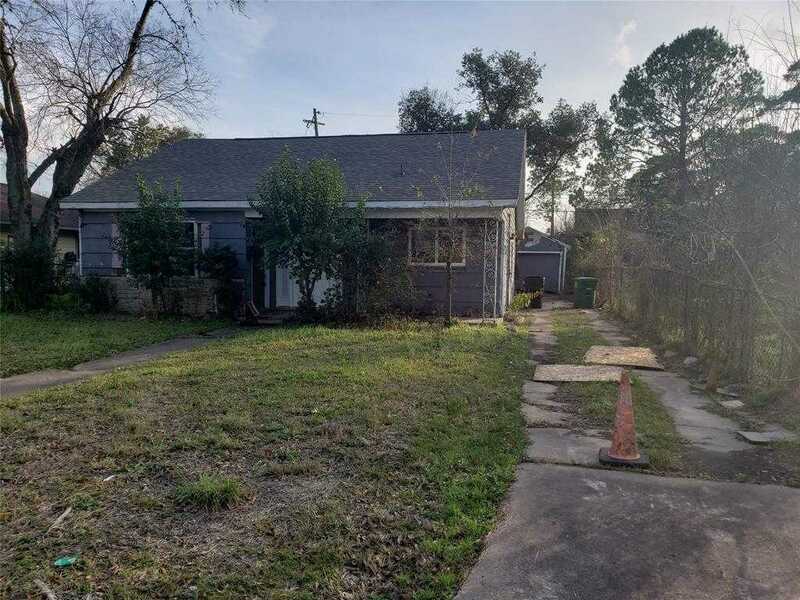 Investors -here is the opportunity for a remodel, taken down to the studs and ready for remodeling. 2018-2019, new roof, windows, exterior doors and foundation repair completed. Previously a 4 bedroom 2 bath, 1 car detached garage -currently interior a clean slate. New construction and remodels throughout the subdivision. Call to view!